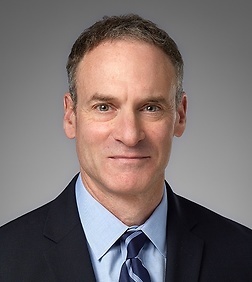 Marc Feldman is a partner in the Business Trial Practice Group in the firm's San Diego office. Marc specializes in insurance litigation. He represents insurance companies in cases involving first-party and third-party claims, personal lines and commercial policies, bad faith claims, complex coverage disputes, class actions and claims under California’s Business and Professions Code. Marc has tried cases to verdict in California courts, represented insurers in binding arbitrations, and has briefed and argued cases in the California Courts of Appeal and the Ninth Circuit Court of Appeals. Marc's clients include: Allstate Insurance Company, Fireman’s Fund Insurance Company, Mercury Insurance Company, The Travelers Group, and Infinity Insurance Company. Marc is a former President of the Insurance Bad Faith Law Section of the San Diego County Bar Association and has conducted seminars on insurance law for lawyers and industry professionals. Obtained defense verdict in jury trial of bad faith failure-to-settle claim – one of the Daily Journal’s Top Defense Verdicts of 2017. Won motion dismissing breach of contract and bad faith claims against insurer based on claim arising from purchase of $20 million in counterfeit wine. Argued and won affirmance on appeal in published decision. Obtained $18 million arbitration award for insurer against third party claim administrator. Award confirmed in court. Won defense judgment for insurer after 4-week trial of bad faith lawsuit arising from a water and mold claim for a multimillion dollar estate home. Obtained summary judgment for auto insurer on $50 million class action alleging that auto policy violated California law. Affirmed on appeal. Won bench trial for insurer on claim for violation of California Unfair Practices Act. Obtained complete defense arbitration award for primary insurer sued by excess insurer on $22 million subrogation claim. Won numerous motions for summary judgment on bad faith claims against insurers. Represented insurer in coverage action involving $1 billion claim by SDG&E against subcontractor arising from 2007 San Diego wildfires. Obtained defense judgment in trial of malicious prosecution claim against homeowners insurer. Won trial in bad faith action, with jury finding that homeowner committed arson.